Do not apply when the surface is hot (whenever feel hot when touch with your hand ). Always test the paint before applying it to your vehicle. Keep on practice using a white laminated cardboard from Step 1 to 3 before applying it to your vehicle. 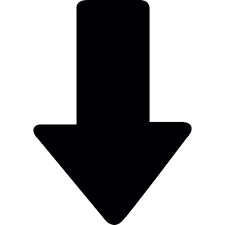 Pay more attention on large defect surface. Do not apply overlapping to the surrounding surface. Do not apply in wet and humid environment (raining). Do not apply in direct sunlight. Make sure Basecoat dry before applying Clearcoat. Allow 30 days for new paint to harden before waxing or polish. Surface of new paint will dry after 2 hours applied and can be contact with water, sunlight, or drive the car. However do not wash with cleaning chemical or rub with cloth within 24 hours after applied. Store the paint in cool, dry place. Do not leave the bottle in your vehicle. Read and understand instructions given completely before apply. A) Wash the surface with soap and water thoroughly. B) Rinse with water and then dry it up completely. C) Start apply one even and light coat of EZY Basecoat on the repairing surface in one direction only. Caution: Please do not rub & only dab the color on. Be gentle with the brush without disturbing the undercoats, do not overlap existing clearcoat. Allow to dry for 10 to 15 minutes in between each layer of Basecoat. NOTE: For Basecoat which is come with part A and part B (Tricoat), complete the whole process of 2D with part A first, and finished by 1 very thin and even layer of part B, Part B should always on top of part A. Part A cannot applied on top of part B.
E) After finish cover all the repairing area, allow Basecoat to dry for 30 minutes. A) Apply one even, light coat of EZY Clearcoat in one direction only. Caution: Please do not rub & only dab the clearcoat on. Be gentle with the brush without disturbing the undercoats. Avoid overlaping to surrounding existing clearcoat. Allow to dry for 10 to 15 minutes in between each layer of Clearcoat. * Normally 1 layer of Clearcoat is sufficient. B) Allow the surface of Clearcoat to dry for 2 hours before handling, contact with water and sunlight or drive the car. AVOID wash with cleaning chemical or wipe the new paint with cloth within 24 hours. * Clearcoat will completely dry after 24 hours. * New paint needs 30 days to harden. Do not wax or polish the new paint surface within 30 days. You may use the EZY Rubbing Compound to correct the inconsistencies, improper job of Clearcoat applied caused by hand touching, dust stain, "winkle" created by strong wind and etc during application. It only suitable for large new Clearcoat surfaces. application. Only focus on new applied clearcoat !! Apply Rubbing Compound only when needed. NOT suitable for small surface of new paint. You may check the FAQ for more details. ** Apply after 24 hours Clearcoat applied. A) Thoroughly shake the bottle before applying. B) Place a small amount of EZY Rubbing Compound on the new painted surface. 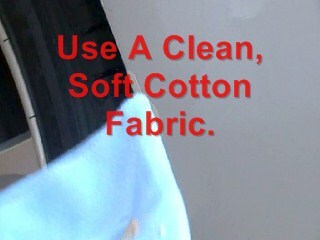 C) Use a clean, soft cotton fabric. 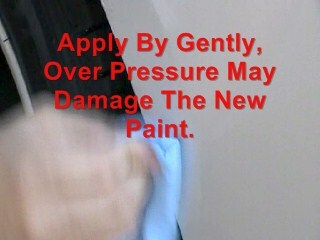 Apply even pressure by circular strokes to the new paint surface. Note : always apply by gently, over pressure may damage the new paint. D) Repeat Step 4B and 4C until the surface looks smooth and even. * DO NOT wax or polish the new paint for 30 days ! !